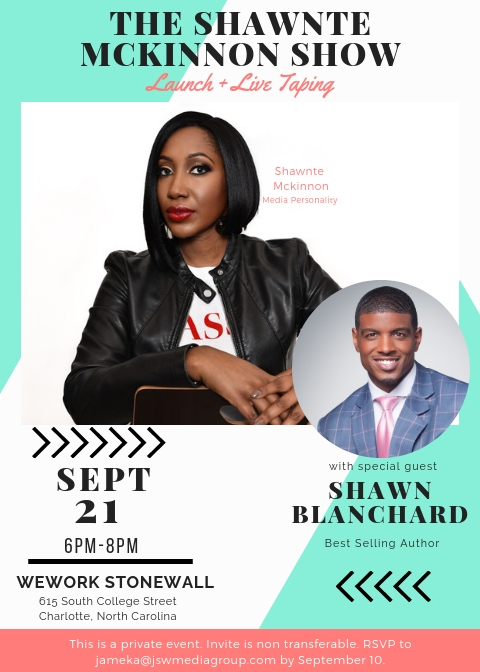 Our team is currently gearing up for our client, media personality and speaker Shawnte Mckinnon‘s launch event in Charlotte, NC on Friday, September 21 from 6 p.m. until 8 p.m. at WeWork – Stonewall Station. During the event we’ll do a live taping with her featured guest, best-selling author and speaker Shawn Blanchard. We are looking forward to a very successful launch of The Shawnte Mckinnon Show. If you’d like to request an invitation to attend, please your inquiry to Jameka Whitten at jameka(at)jswmediagroup(dot)com by Wednesday, September 19. To learn more about Shawnte Mckinnon, please visit her website at shawntemckinnon.com. 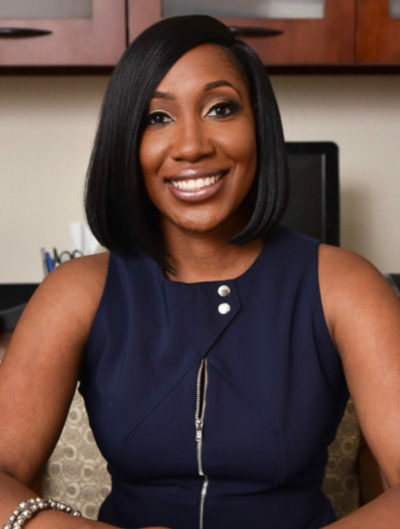 Shawnte is available for a variety of speaking engagements and appearances, contact us for more information regarding availability.